Nearly £2 million is to be spent by Yorkshire’s biggest police force on equipping its officers with body-worn cameras to capture footage of them on duty. It comes after West Yorkshire Police joined other forces around the world last year in a research project with Cambridge University, with 160 video cameras used by its front-line response officers. The cameras, which can be attached to the torso or the helmet, are designed to capture evidence at scenes of crime and help support prosecution cases. Research from the US shows the devices also stop disputes between police and the public from escalating. West Yorkshire Police has not revealed how many body-worn cameras it will now be getting but says it is working towards introducing them “across the force”. It is being paid for by £1.93 million to be released from police and crime commissioner Mark Burns-Williamson’s ‘transformation fund’, in a decision approved last month. Assistant Chief Constable Andy Battle of West Yorkshire Police, who is leading the project, said: “Technology remains at the cornerstone of modern day policing and we are working towards the introduction of body worn video cameras across the force. He added: “Evidence from up and down the country has already shown that these devices offer significant benefits and tangible savings. “The research indicates that complaints are resolved earlier when footage from the camera is available. West Yorkshire Police is among 30 forces worldwide taking part in the Cambridge University study, with the results to be announced at an ‘evidence-based policing’ conference in July. During an earlier experiment by the same researchers in Rialto, California, where the cameras were given to officers, the use of force by police fell by 59 per cent and the number of reports against officers fell by 87 per cent. According to Cambridge University academics, the knowledge that events are being recorded creates “self-awareness” in all those involved in interactions with police. This awareness turns body-worn video into a ‘preventative treatment’ and causes both police and members of the public to change their behaviour. The university says the experiment will “address important questions such as pursuing offenders, use of force, legitimacy and the relationship between the police and the community”. Metropolitan Police officers in London began wearing tiny cameras on their uniform for the first time last summer, in a scheme designed to capture evidence at scenes of crime and help support prosecution cases. 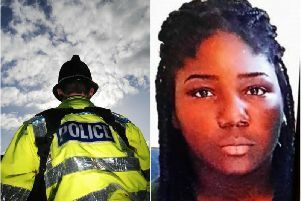 West Yorkshire Police last year announced that its officers would be told to contact their control room whenever they carry out a ‘stop and search’, after concerns were raised by young people and members of minority communities about the way the searches were conducted. Information about the search provided by the officer will be put directly onto a computer system, meaning information about the incident is available to be scrutinised later. Bosses admit public confidence in the force has fallen since 2012 but said last year that they hoped the plans would help by providing incontrovertible evidence about potentially sensitive incidents. Nick Smart of West Yorkshire’s Police Federation said the organisation was a “massive supporter” of the technology, as well as the handheld devices being handed to officers to stop them having to return to police stations to fill out paperwork. Mr Smart said he hoped the body-worn cameras would result in more guilty pleas in court by producing better evidence and would increase the safety of officers.